The Bransford Webbs Plant Company is very proud that they have achieved the BS8555 accreditation for environmental management for the tenth consecutive year, having first achieved this important certification back in 2008. Since 2008, we have continued to strive to improve our environmental credentials in order to retain this important accreditation. It remains essential that we proactively choose the most environmental methods of production as possible. Among other targets, we have reduced our peat usage in both the liner unit and on the nursery, continue to catch, recycle and reuse all the rainwater which falls on the glasshouses and office / despatch buildings and have a 60KW solar panel system fitted to the main despatch shed roof which generates half the electricity used on the nursery. An integrated crop protection program is an integral part of our production. We currently use a wide-range of biological predators and bio-fungicides. Our spray programs are developed to be compatible with biological control on the nursery. With the issue of single use plastic continuing to remain an important issue amongst the public, we are at the forefront of the industry initiative to replace black plastic pots with a recyclable alternative. The new taupe coloured pot, which can be recycled through kerbside recycling schemes, will be phased in by Bransford Webbs shortly, with the aim to replace the traditional black plastic pot as soon as possible. 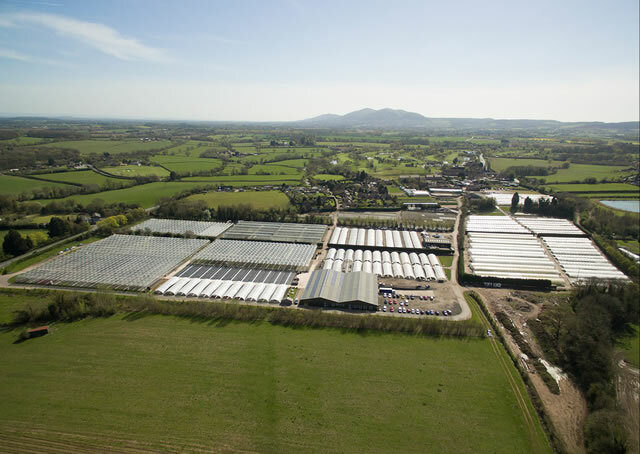 “This is a fantastic achievement, here at Bransford Webbs we pride ourselves on the continued improvements we make on our management of the environment”, commented Adrian Marskell, Managing Director. “It is something we take very seriously and will continue to do so”.